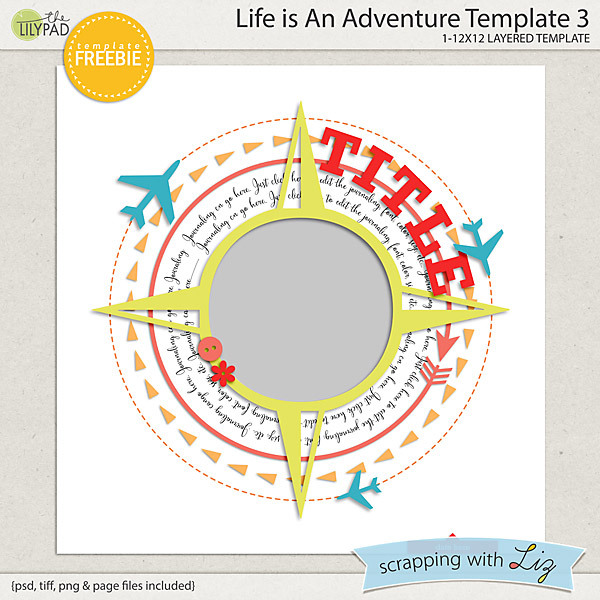 I have two brand new alphas (one for scrappers and one for designers), and two older template sets for scrapping your travels. Enjoy the 50% SOSN discount on these products through Wednesday, May 4, 2016. Be sure to read on to get a sneak peek of my new releases on Friday AND Saturday. Yup, that's right! I have new stuff for you both on Friday and Saturday. Plus there's a few ways to get some extra freebies and a coupon! Big Pieced Alpha Templates has large (about 12 inch tall) uppercase letters that are pieced together with a few paper pieces. 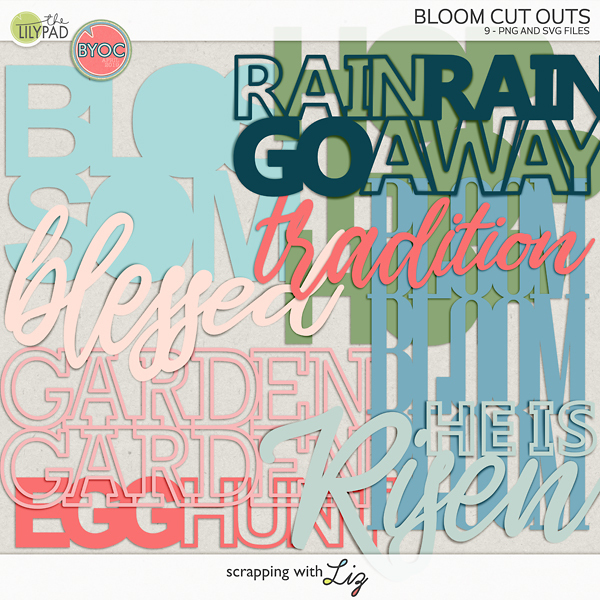 Great for Title pages, ABC albums, or your loved ones' initials. CU Small Pieced Alpha Templates has similarly designed alpha shapes, but set up for designers to use for creating word-art and alphabets. 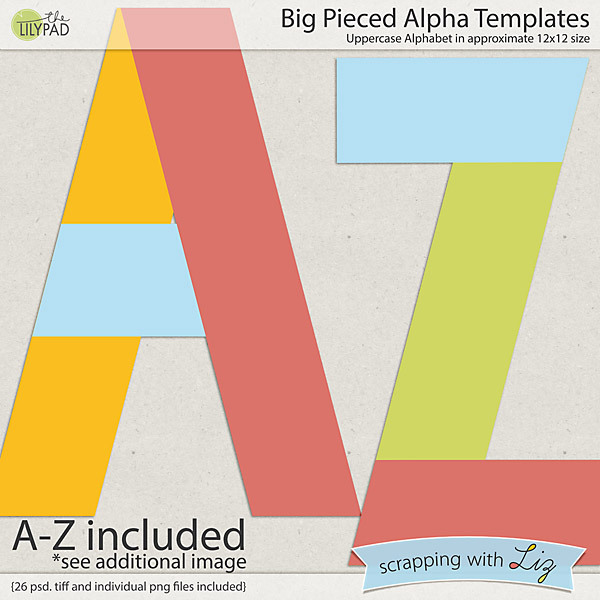 Although scrappers can surely use these, the files are set up to make it easy for designers to create a full alpha. 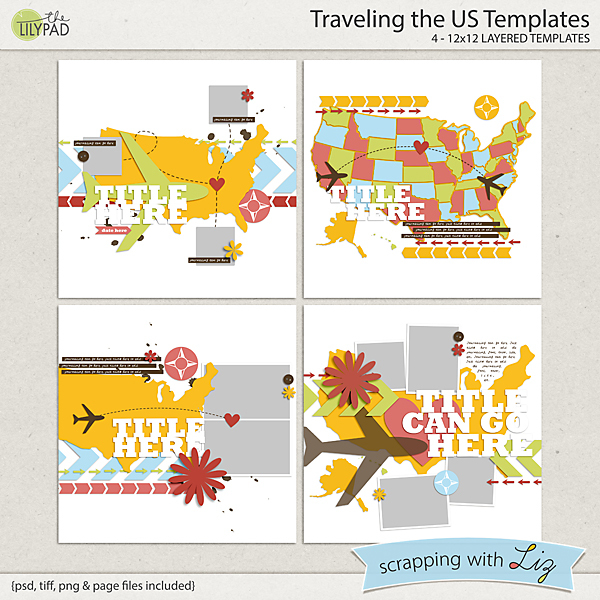 Traveling the US Templates is a fun set of templates with US map and airplane shapes. Use these to scrap your travels, your favorite places, or the places you've lived. 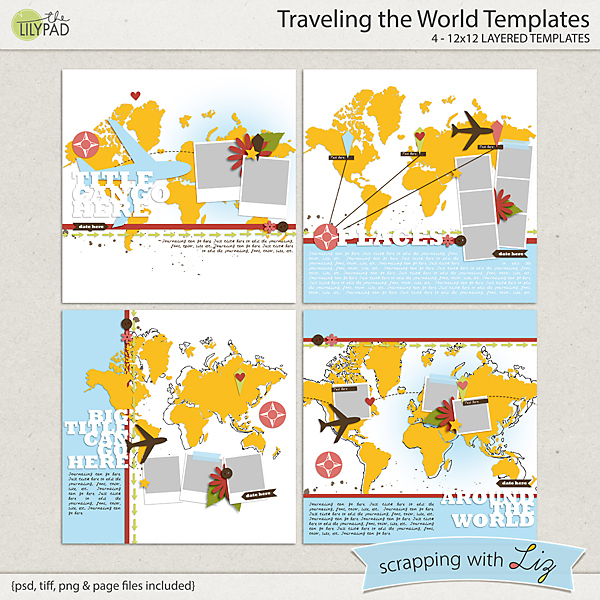 Traveling the World Templates is similar, with world map shapes. 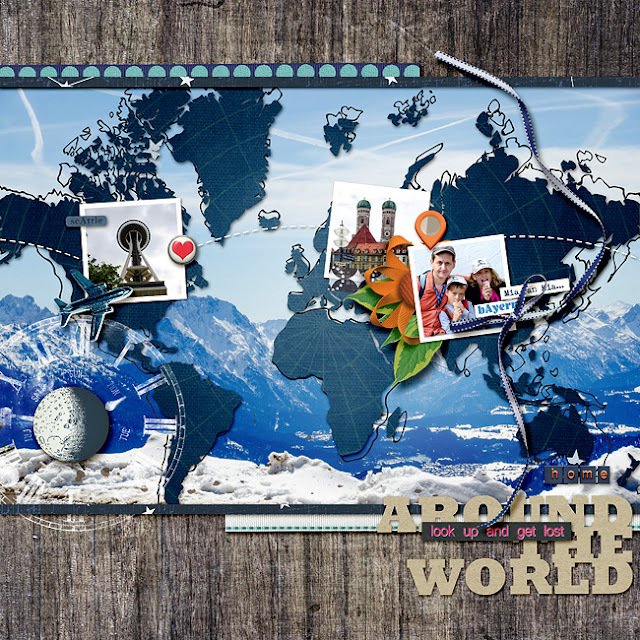 Look at this gorgeous page by Polly Amber using my Traveling the World Templates. Such a neat way to document travels. 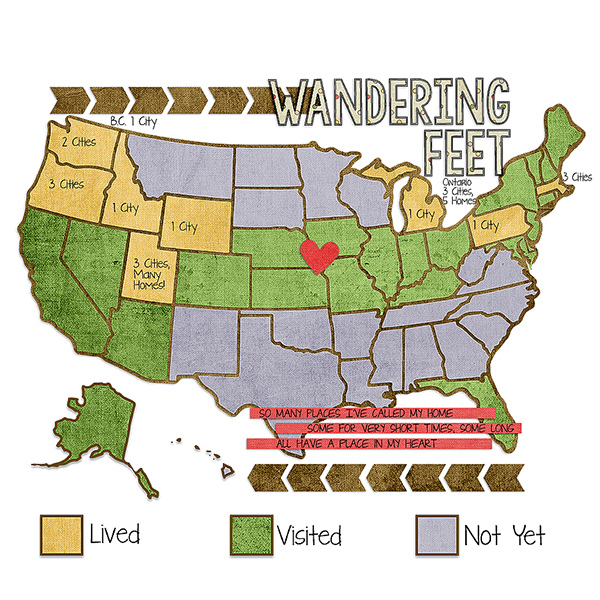 This page is by Courtney using my Traveling the US Templates. I love how she documented where she lived and where she visited. I might have to do that! 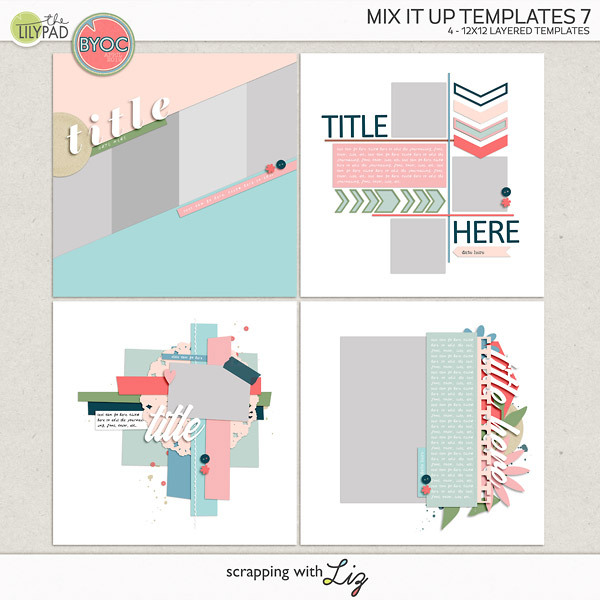 Here is a title page I made with the Big Pieced Alpha Templates. It will be the title page for Abigail's album. Tracy will be hosting an MIS this Saturday in the TLP gallery. If you complete the challenge you could win $$$ to my store and everyone who participates will get the free template you see below! 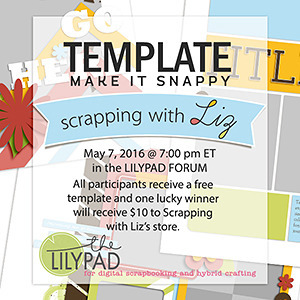 This Friday is the BYOC (build your own collab) over at The Lilypad! Here's a little sneak peek of what I'll be releasing. 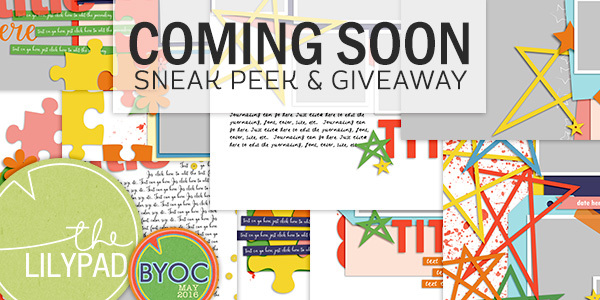 Another way to get a FREE template is to make sure you are subscribed to my newsletter. 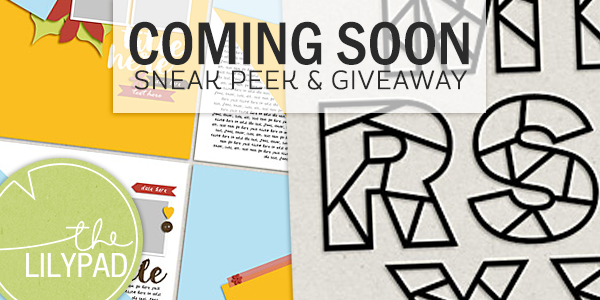 I'll be sending out a free template this Saturday along with some news on my special releases. Plus you'll want to make sure you are subscribed because all of my newsletter subscribers will also get a coupon to my store for shopping this weekend...double the savings since there will already be a storewide sale going on! Here's a little sneak peek of what's coming this Saturday! Who's ready for iNSD?!? I am! P.S. I almost forgot to tell you! Make sure you go tell me what you want to win in the Pick Your Prize Forum! You might just win what you pick! You make the most interesting templates Liz! You put so much effort into making them very user friendly. Just had to pu the small alpha and US travel temps! I participated in the challenge in order to receive the free template. Since I did not have any of the 'correct' papers, I submitted it to the Fb site. When will I receive the template? After submitting my finished challenge piece, I received word that they would make sure you saw it, but that is the last I heard. I'm so sorry! I'll get that to you right now!